The Double Sling's U-shaped neoprene pad effectively distributes and balances the weight of two cameras while absorbing the shock of the photographer’s movements. 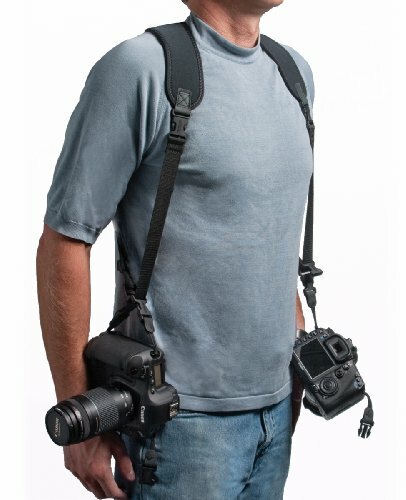 The cameras glide up and down the strap with unparalleled ease and speed so photographers not only stay comfortable, they'll never miss a shot due to a tangled strap. If you have any questions about this product by OP/TECH USA, contact us by completing and submitting the form below. If you are looking for a specif part number, please include it with your message.